@DarthRen wrote: Matt Martin said on twitter that Project Resurrection DLC that was mentioned in Battlefront II will be a spoiler for TLJ. It will play a part, so if you don't want to be spoiled by this, avoid it. I don't really mind spoilers but a fair warning for anyone here who prefers not to be spoiled beyond what we know. I have this weird intuition that is about not only FO but mainly Snoke. I could be wrong. I have a love hate relationship with spoilers. I mean, I’ve been trying everything I can to get my hands on TLJ spoilers for two years, but when push comes to shove and there are folks in existence who have seen it and want to share, I’m covering my ears and singing lalalala to myself. Lothal is mentioned in the game....so looks like the planet has survived the events of SW Rebels and whatever battles were fought there....also, there is a passing mention of a purple wookie which is basically a reference to Zeb since his homeworld of Lasan is destroyed by the Empire and the only other two Lasat survivors left for their original home planet in Wild Space...so there is a good chance Zeb is alive post the battle of Endor. That is cool. One more in the safe zone. The 2 more at risk are unfortunately still at risk. I'm a quivering mess at the moment. Good lord that should be illegal. same here!! I shouldn't be getting the feels over a picture of a digitalized character but dang!! I'll add you as a friend if that's ok And if anyone else plays BF, too, feel free to pm me and I'll send you my psn username. I play in Heroes vs. Villains most of the time. They are stressing the medieval knight imagery even more with his TLJ costume. Looks like a prince! Absolutely! HvV is so fun to play. I always go for Kylo, he's the most fun to play aside from Maul. My cousin is visiting for the Thanksgiving holiday and she's a total member of the GA (likes SW, but isn't obsessed). 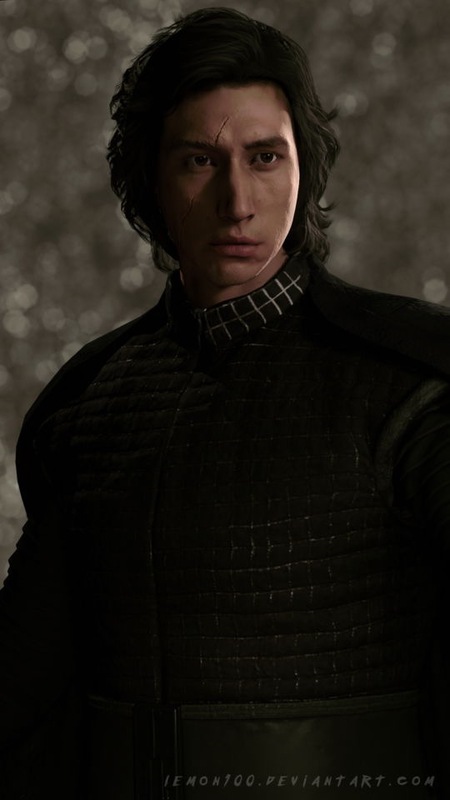 I showed her the recent Battlefront pic of Kylo and she commented that he looked like a dark prince. Naturally, I said I wholeheartedly agreed with the prince description. Finally watched the whole campaign as walkthrough on YouTube. Damn, Shriv is my new favourite character ever in Star Wars. And to be honest I expected Del to die since the moment he was having a change of heart thanks to Luke; bad guys turned kind-good guys always do I'm afraid. But I still kinda doubt that Iden's and Del's daughter is Rey, it just doesn't work out timeline-wise IMO. Or at least it leaves many more plot/timeline holes than we've had right after TFA's release. - Rey is 10 years younger than Kylo; Kylo is obviously adult during Battlefront II, so Rey would be what, 10 - 15 years old? But she was abandoned as a 5-year-old (or something like that)? So Del would have been parted from his family for at least a decade? Or would he and Iden just leave Rey behind and go on a mission (or something else of great importance) without her? - And what in the world would make Iden and Del abandon their daughter on a crap planet like Jakku??? - I know people in the Star Wars universe don't necessarily need a genetic disposition to be force-sensitive, but how would Rey have a similar power-level to Kylo when she's born of two soldiers? This is literally the only point that makes me wish for her to have a more mysterious origin... plot convenience to have two matched characters won't cut it for me (nor does overpowering one aka Jean from X-Men: Apocalypse). Based on the game, looks like been lifting in his spare time. Anyway, go and support the artist too. It's for a good cause. Btw anyone playing DLC The Last Jedi season? FO or New Republic. I know then there will be an additional free pack with Finn, Phasma and new map of D'Qar and then for singleplayer Iden first days in FO, prior to events in the main campaign. Anyone gonna purchase it? @DarthRen wrote: Based on the game, looks like been lifting in his spare time. Anyway, go and support the artist too. It's for a good cause. I just saw that. My driver needed to be upgraded, but I am going to check it out. 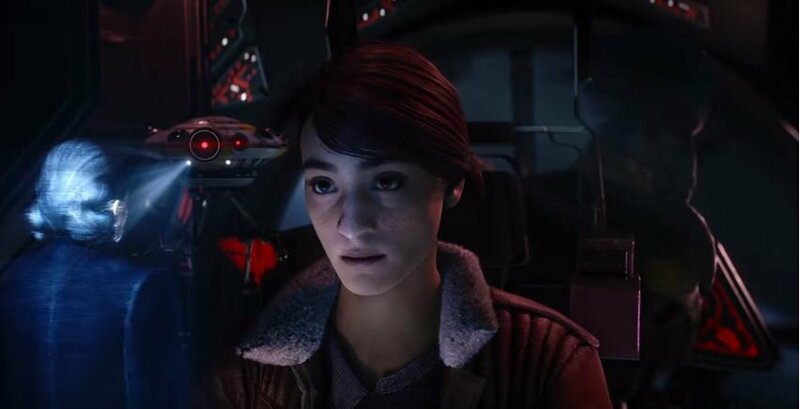 The Rey Versio theory is mostly debunked as the image of Zay (daughter of Iden and Del) has been leaked....I say 'mostly' because Zay has siblings according to leaks as well. WHEN DID GAME GRAPHICS GET SO GOOD?